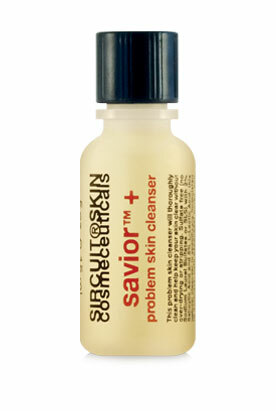 Savior™+ problem skin cleanser will thoroughly clean and help to keep your skin clear without over-drying or stripping. This Sulfate-Free (no Sodium Lauryl Sulfates or SLS) cleanser with 2% Salicylic Acid and 5% L-Lactic Acid is specifically formulated to exfoliate, help decongest pores and assist in the reduction of breakouts. SUPERCHARGED to help improve tone and texture, minimize imperfections and to fight against the ongoing conditions that can occur with problem skin. Deeply cleanses and purifies without over-drying or stripping. Gently exfoliates to decongest pores which helps to reduce breakouts. Clarifies the skin, improving overall tone and texture. 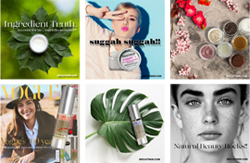 Skin Type: Ideal for acneic, blemish prone, problem skin types. How To: Splash face with warm water, apply a small amount of Savior™+ problem skin cleanser to fingertips and massage in circular motions into a lather on face and neck. Rinse thoroughly. Do not get in eyes. Use daily, both morning and night. Follow with a SIRCUIT® treatment serum andImmaculate Mist™+ as part of your home treatment program for oily or problem skin. Shake well before use. Salicylic Acid (2%): Occurs naturally in Wintergreen Leaves, Licorice, Marigold, Sweet Birch and other plants and is a widely used ingredient in topical skincare products. It gently exfoliates with properties that help to enhance skin clarity, potentially reduce the occurrence of future blemishes and can improve the overall appearance of problem skin. Peppermint Essential Oil (Organic): With a refreshing aroma, it provides a soothing and cooling effect on the skin. Eucalyptus Essential Oil: An aromatic essential oil. Clary Essential Oil: Provides astringent characteristics to support problem skin. Rosemary Essential Oil: Assists in helping keep skin clear. Meadowfoam Seed Essential Oil: Helps to promote skin soothing properties. Totarol™: A plant extract from New Zealand’s Totara Tree. This effective antioxidant works to neutralize free radicals and provides astringent characteristics that can help to potentially relieve excessive oiliness and fight against the ongoing conditions that can occur with problem skin. Formulated With: Aqua (Water), Sodium C14-16 Olefin Sulfonate, Polyacrylate-1 Crosspolymer, Lactic Acid (L), Sodium Cocoamphoacetate, Glycerin, Salicylic Acid, Aloe Barbadensis Leaf Juice*, Mentha Piperita (Peppermint) Oil*, Olea Europaea (Olive) Leaf Extract, Melaleuca Alternifolia (Tea Tree) Leaf Oil*, Eucalyptus Globulus Leaf Oil, Salvia Sclarea (Clary) Oil, Rosmarinus Officinalis (Rosemary) Leaf Oil, Lavandula Angustifolia (Lavender) Oil, Sodium Hyaluronate (L), Citrus Aurantium Dulcis (Orange) Peel Oil*, Limnanthes Alba (Meadowfoam) Seed Oil, Butyrospermum Parkii (Shea) Butter*, Totarol, Cocamidopropyl Hydroxysultaine, Caprylyl Glycol, Alcohol Denat., Phenethyl Alcohol, Potassium Sorbate. *USDA Certified Organic | NOP. Phthalate-free. 1,4 Dioxane-free. Sunburn Alert: This product contains an alpha hydroxy acid (AHA) that may increase your skin’s sensitivity to the sun and particularly the possibility of sunburn. Use Sol-Avert™ SPF 30 daily and limit sun exposure while using this product. Special Note: Clients allergic to aspirin (which is Salicylate based) or during pregnancy might want to avoid this cleanser. Note on Surfactants/Cleansing Agents: Sodium C14-16 Olefin Sulfonate and Sodium Cocoamphoacetate are green, mild, safe surfactants made from the fatty acids of Coconut. Crosultaine™ (Cocamidopropyl Hydroxysultaine) is a mild, plantderived amphoteric surfactant.